$299.99 Seen a lower price? Whichever software you're using, Launchpad Pro lets you control it and any piece of external hardware. Plug it straight into Logic Pro and play it like a keyboard, or connect the MIDI ports to Bass Station II and play riffs on your grid. The 8x8 grid of RGB pads light up to match the color of your clips in Ableton, so you can concentrate on triggering and combining your loops and ideas. The pads automatically assign themselves to the notes of one of 32 keys and modes, making it impossible to play out of key. Make dynamic beats: drum racks are automatically laid out and illuminated, which makes it as easy as possible to create expressive beats and drum performances using the velocity and pressure-sensitive pads. You can easily play notes, scales and chords on the grid, because Launchpad Pro illuminates its pads in melodic layouts. You'll get RGB LED feedback every time you press a pad and, if you're in Standalone Mode, you can use the grid to play any of your software and external hardware, too. Get slick, immediate access to all your mixer controls mid-performance, so you stay in your flow. There's no need to enter a separate mixer mode; press and hold a mixer function button (like mute or volume), make a change, and then simply release the button to drop straight back into your performance. Control any Ableton effect or instrument mid-performance to add engaging, expressive effects like reverb, beat repeats and filters. The button grid turns into eight velocity-sensitive vertical faders, with LED feedback for super smooth effect transitions. Max for Live lets you use your Launchpad Pro however you like: turn it into a step sequencer, trigger videos from drum pads or use it to create just about anything you can imagine. Alternatively, engage with the whole community of Max for Live creators to find limitless inspiration and downloads. This grid is built for performing. It's compact and light enough to throw in your bag, yet tough enough to survive the roughest gigs. You can bus-power it via USB, or use the included power supply to take full advantage of the super bright RGB LEDs during dusk performances. 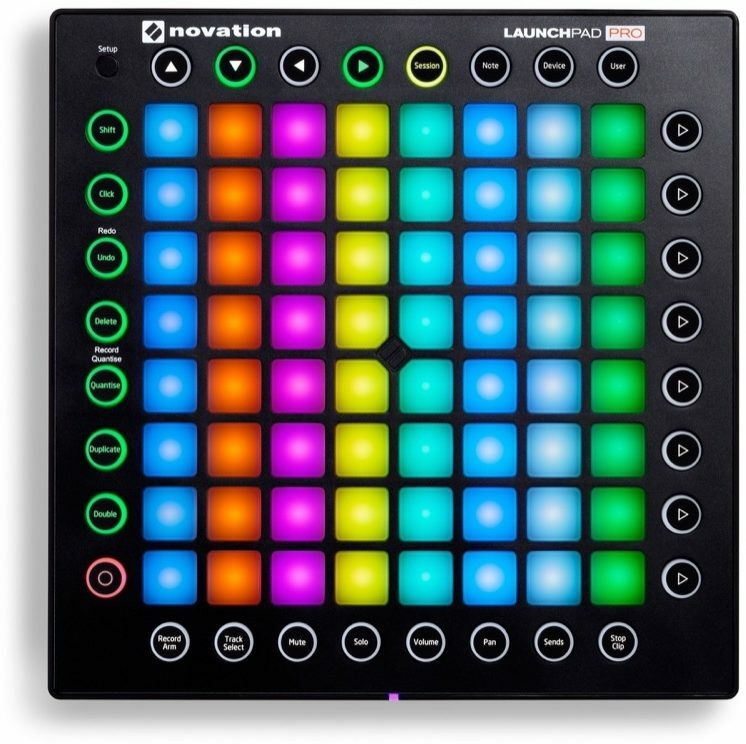 Like all Launch products, you can chain it to multiple Launchpads and connect it to the rest of your studio or live setup. It's class compliant and doesn't need any drivers: you just install the software, plug it in and start performing. Rely on our two-year warranty if any Novation hardware needs repairing or replacing due to a manufacturing fault. Use Melodics to hone your pad drumming skills for free. 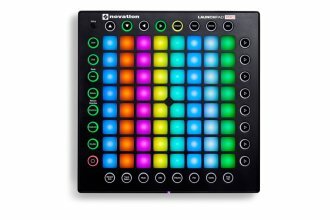 Launchpad Arcade is a place where you can get straight into making music with Launchpad's familiar clip-based user interface. Same Day Music is an authorized dealer of Novation products. Launchpad is class compliant, so will work with any modern Mac, Windows or Linux PC. For further information see the Novation web site. If you already have Ableton Live it must be version 8 or greater to work with Launchpad Mini. We recommend that you update to the latest version as previous versions of Ableton Live do not include the Launchpad Mini integration. Available until 11 PM (EST) today. Mention special code 20K-DZ13 when you call.